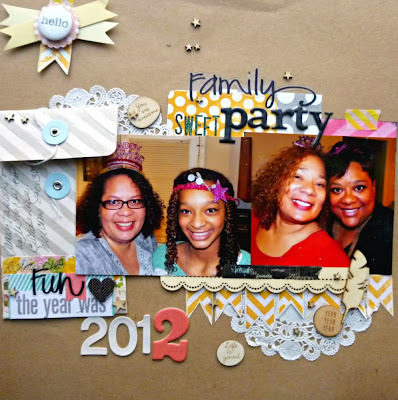 One of you will be contacted to Guest Design on our blog in January!!!! You have until Dec 15th to claim your prize. We will be back tomorrow with a new challenge! 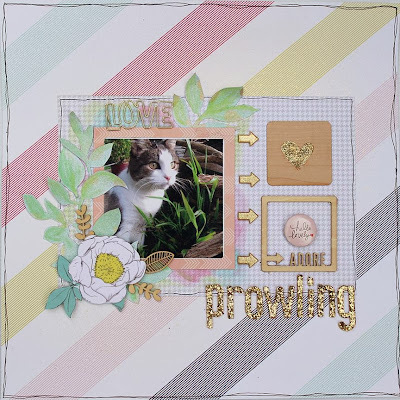 "Prowling" LO by DT Manda M.
Happy Thanksgiving to all from Scrap Our Stash! I loved this month's sketch but because I was using a square photo I just used it as a guide and moved the elements around a bit. This is a photo of my cat Harry out exploring in the garden, he is usually an inside cat so these outings provide lots of strange new things to look at. I wanted to include some "leafy" embellishments but after looking into my stash realised that I needed to get a bit creative so I cut the leaves with my silhouette and then used Heidi Swap Color Shine and Gelato's to colour them and also fussy cut a sheet of Dear Lizzy paper. Wood veneer is one of my favourite things so I had no shortage of that in my stash. I choose some pieces from Freckled Fawn and a little card from Two Peas in a Bucket that I altered using a versa mark pen and some embossing powder so it match the letters I used for the title. 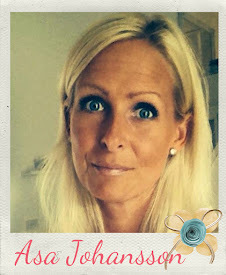 "Being a Kid" LO by DT Lee-Anne T.
Yay! It's Hump Day and for some… the beginning of a 4 day weekend! 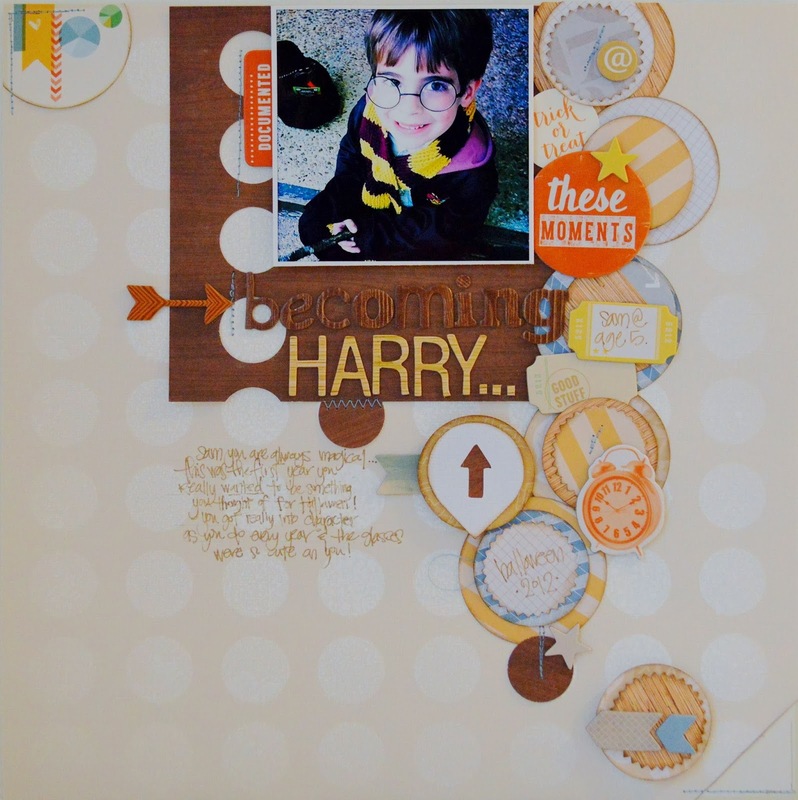 "For this challenge I used some wood veneer stars from Studio Calico and also an owl roller doodle stamp from Glitz Design as well as some patterned papers from the Say Cheese Collection by Simple Stories. 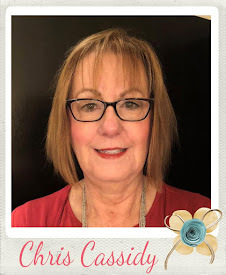 I splattered some mist drops (Heidi Swapp Color Shine Mists in Mustard, Black Velvet) and some Ranger Adirondack Color Wash Mist in Cranberry) and also cut my title and star border with my Silhouette Cameo." Hurry, you still have a couple of days to complete this challenge Don't forget to add anytime of wood on your layout! :) You can get more information on the current challenges HERE. 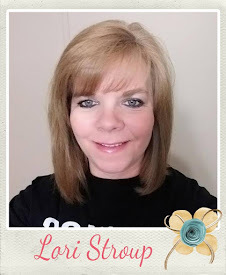 "I Smile Because You Are My Sister..." LO by Brenda R.
"I loved working with this Laura Whitaker sketch and Teresa Collins "Memorabilia" Collection! For the stash part of the challenge I used ARC Crafts BARC Tape - Cherry Wood to create the border, tag and tab. 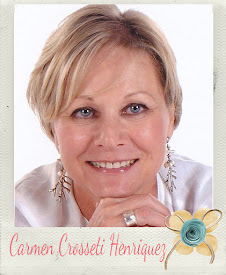 I also used the following wood veneer items: feathers, stick pin, heart and button." "It's A Hard Life Being A Cat" LO by DT Kerry B. 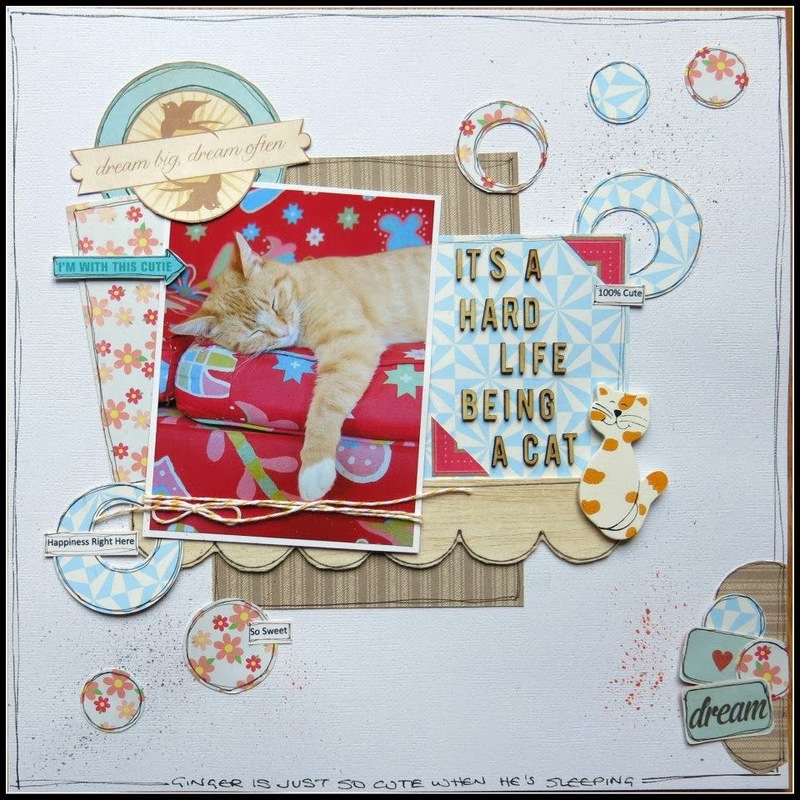 "I started off by checking my stash to see what wooden embellishments I had and found the cute cat that is sitting by the title. I knew then it would have to be a page about the cutest member of the family! I also found some balsa wood and was surprised at how easily I could cut it into a scalloped border. I just had to use the Studio Calico letters as they were the perfect size for my long title - I have run out of the letter 'A' now though!! This is such a fun challenge and I'm looking forward to seeing your take on it." "8th Grade" LO by DT Kelly H.
"8th Grade - This sketch challenge using woods was just perfect for my recent school photo of my youngest. 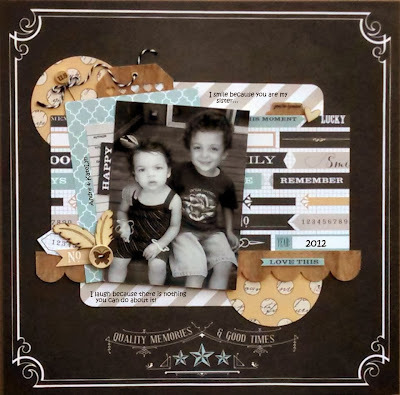 I had wood papers & embellishments from Echo Park This & That collection and also used a Studio Calico wood veneer. I loved how the woods enhanced the school layout! I also used some older papers from the Authentique Blissfull paper collection. I can't wait to see more inspiration this month with this awesome sketch." 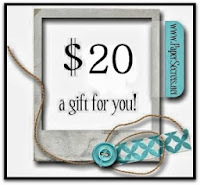 You still have a few days to get your layouts uploaded on the sidebar for a chance to win the $20 Gift Certificate to Paper Secrets Online Store! Here are the challenges - November 6x6 challenge & November Sketch with Stash Challenge using STUCK?! Sketches. "I Love This" LO by DT Robin R.
Today's inspiration is brought to you from DT Robin R.! "I had a blast with this sketch and challenge. I did rotate the sketch 90 degrees to the right, which I don’t normally do. This picture is of my kids jamming. It’s a rare moment to see them playing guitar together. I actually took the picture through my sliding glass door in fear that the moment might end if they saw my camera. 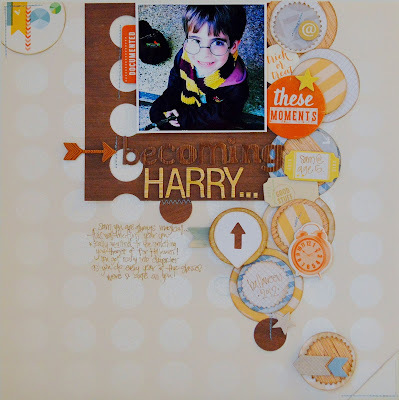 Most everything used here is from the latest Studio Calico Scrapbook kit. 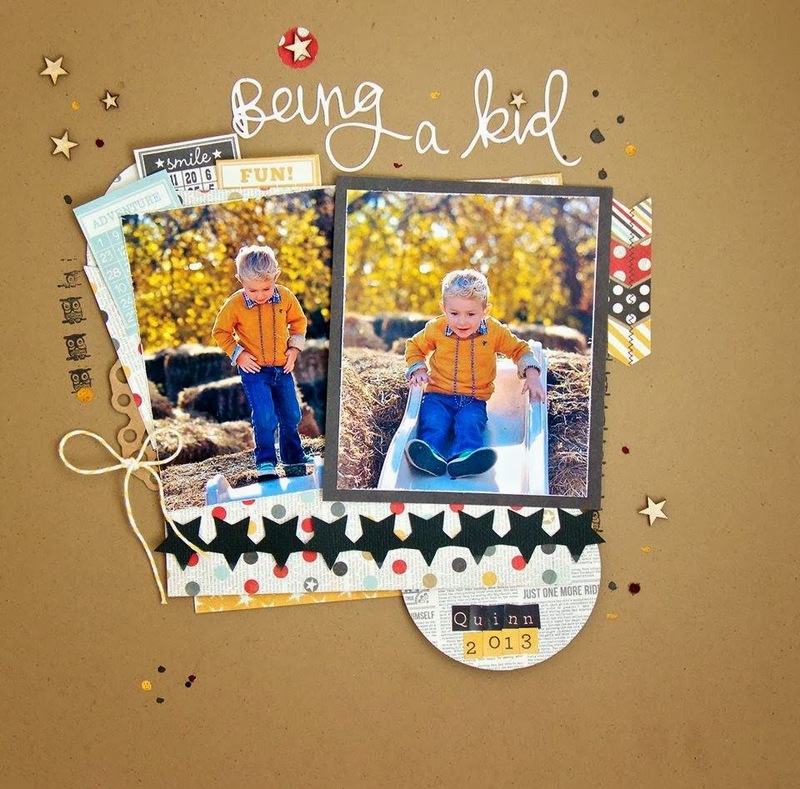 The Washi tape is from the new Freckled Fawn kit. It was very easy, for me, to add wood or wood-look embellishments because I have so many. I just love the little veneer words and shapes that all the companies are coming out with. The words I used here are from Basic Grey. The wood-look paper is from Webster’s Pages. The stars also have a wood-look to them. As always, looking forward to the next challenge!" "Free Spirit - Admit One " LO by DT Jenni C.
This is the perfect sketch for my style of scrapbooking! Layers and layers and tags and more layers. I used photo I printed twice,once in color and once in black & white. I used a couple pieces of patterned paper that have wood grain in them and hung wood veneer hearts from this die cut heart with twine. 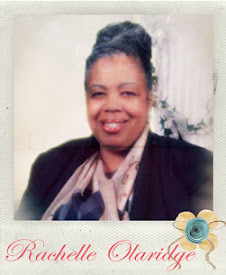 I also used a little wood veneer Polaroid frame around the heart on the journaling card. This is a great sketch that can be used over and over and never goes out of style. I can't wait to see what everyone comes up with, proving its diversity! Check out our current challenges - HERE! 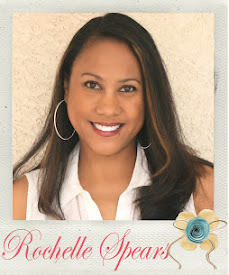 "Everyday" LO by Rochelle S.
Hello! Today's inspiration is brought to you by Rochelle S.
" I created this layout about my daughter Taylor who doesn't like to take photos! I always have to snap photos of her when she is not looking! I like this photo because it catches her doing what she likes to do everyday - read! I used the sketch from STUCK?! Sketches and pretty much kept it the same. I love the colors of this Jillibean Soup collection and I played around with stencils and textured paint, which didn't come out like I wanted it to, but oh well! lol For the stash item I used wood veneers from Studio Calico (arrow, heart and lady). I love the way it all came together -- even with the messed up paint! lol"
"This is the picture of my daughter when she was 2 weeks old at her first doctor's visit. 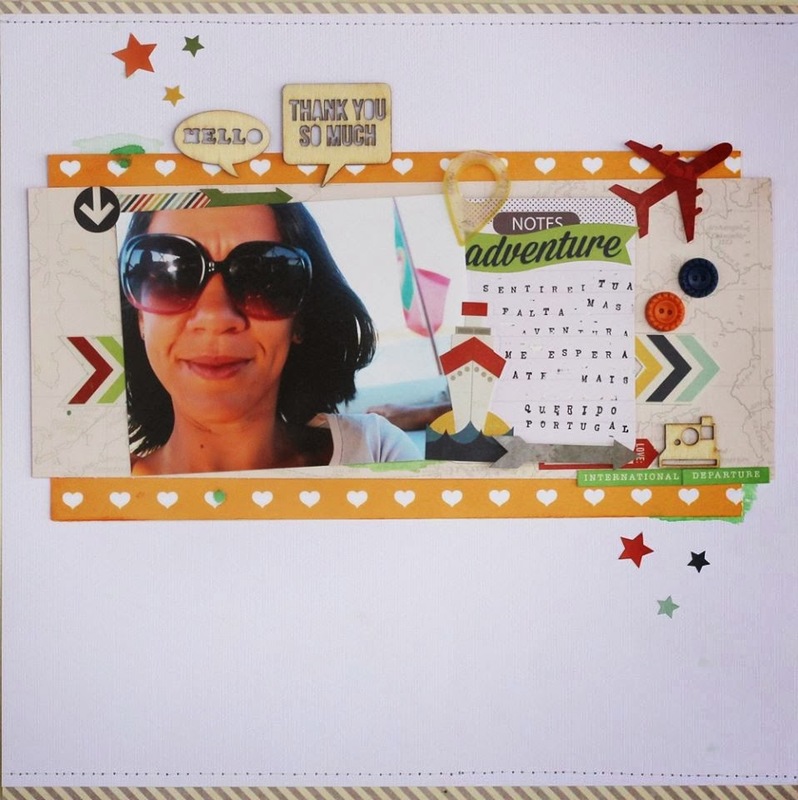 I flipped the sketch and I used American Crafts - The Lucky Charm collection. I added the heart paper clip and a jar that I fussy cut from the paper. Then I used wood veneer letters from Studio Calico and Dear Lizzy Treasure Thickers for my title and then also added some gold sequins and confetti wood veneers from Studio Calico. 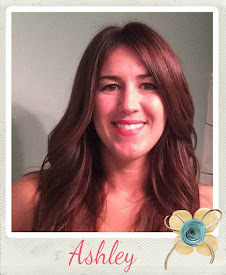 Visit my blog at http://joefilcate.blogspot.com/"
For this challenge, we teamed up with STUCK?! Sketches! For more information on this challenge click HERE and remember to visit STUCK?! 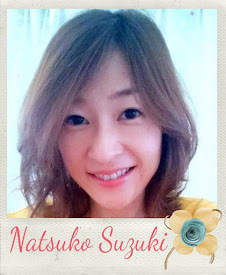 Sketches Blog! 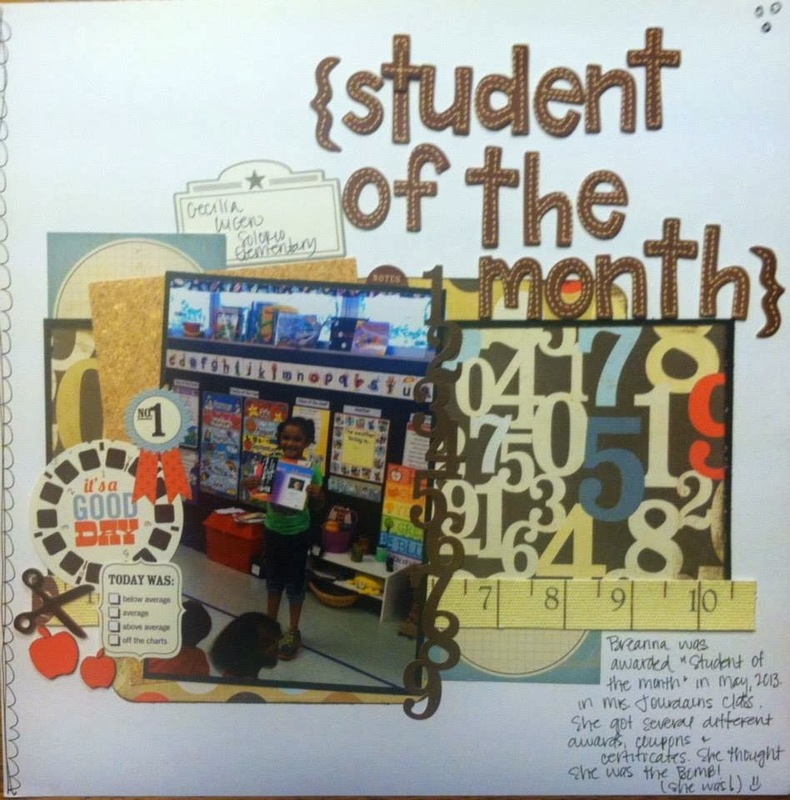 "Student of the Month" LO by DT Patricia B. "Last year, my daughter was awarded Student of the Month in Kinder, she knew she was untouchable! She received various certificates, awards and coupons! Scissors & apples in the lower left hand corner are wooden veneers that I used a marker to color them in. American Craft alphas were used for the title and other random embellies I found in my stash. Check out the challenge HERE! "Home" LO by DT Elizabeth H.
"I really wanted the elements of this page to speak for themselves which is cool since there are a lot of things out there now that can take the place of a photo. I felt like putting a photo would have taken away from my layout. What a fun challenge!" For more information on this Sketch with Stash challenge #9 click HERE. Have a great scrappy day! Today's inspiration is from our DT Dulcinea S.
"Right now my life is so busy, but I have many stories I want to scrap about and no time at all. Anyway, I am so glad there is sketches for making easy to scrapbook, and this one is a great one! For my layout about my last days in Portugal, I use bubble wood veneers as my start point and I kept my layout pretty much similar to the sketch. 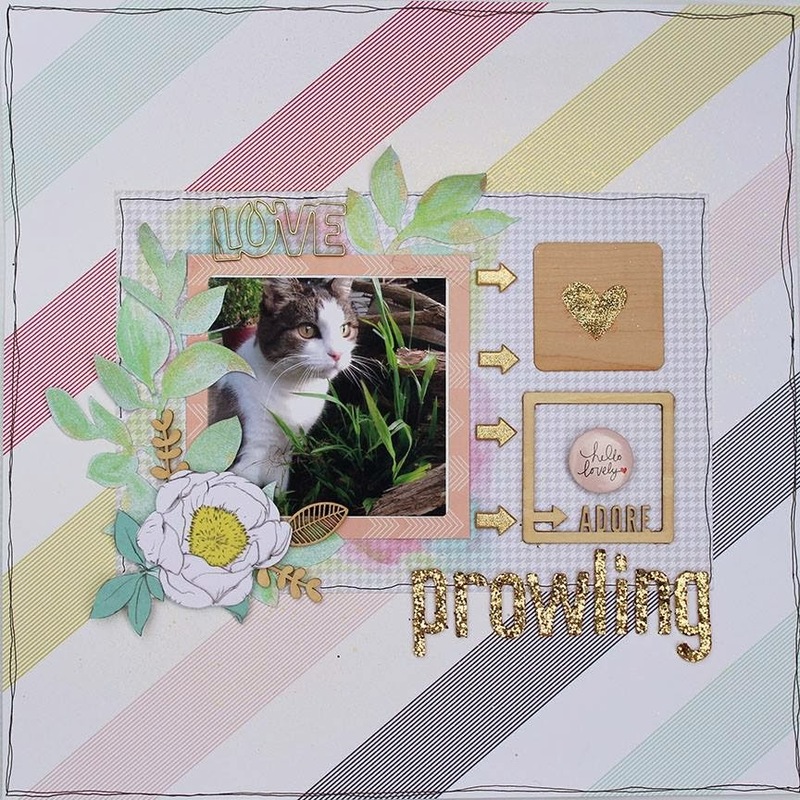 I have so much fun making my page without worrying about design, and I love spending my time embellishing. Hope you enjoy this sketch and challenge as much as I!" For more information on this challenge click HERE. 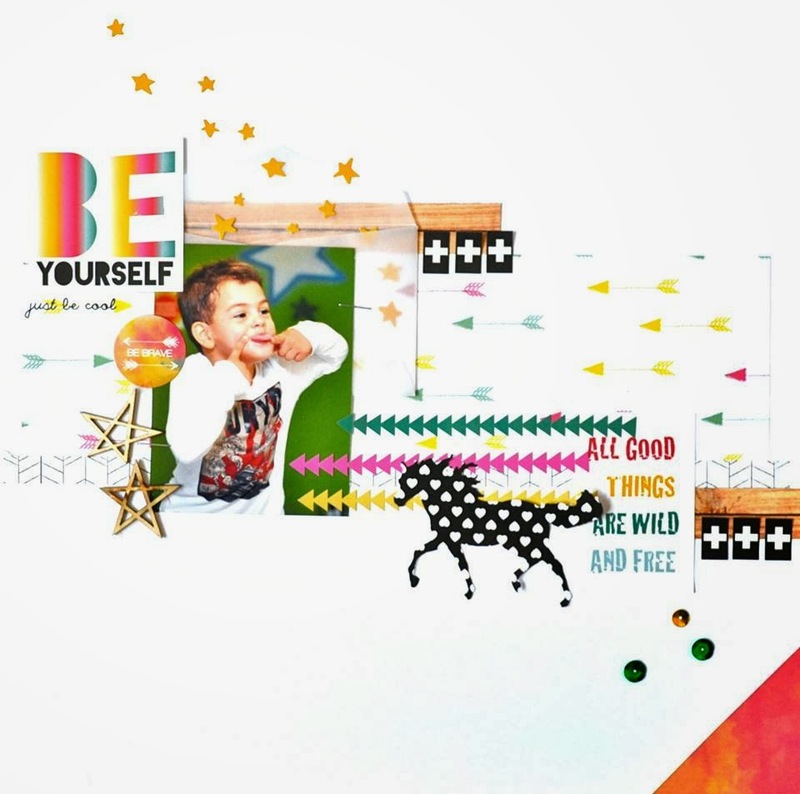 "Be Yourself" LO by DT Carol S.
"My youngest is such a character! 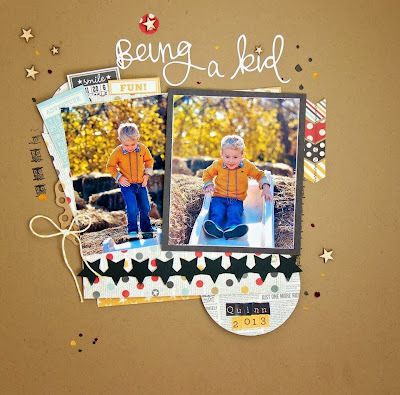 These papers and embellishments seem they were made for this picture! I just needed a great sketch to start working! I put this layout together in 20 minutes. It all worked out very well together! I used 2 wood veneer stars and 2 pieces of wood grain paper. I can't wait to see what everyone else will come up with!" 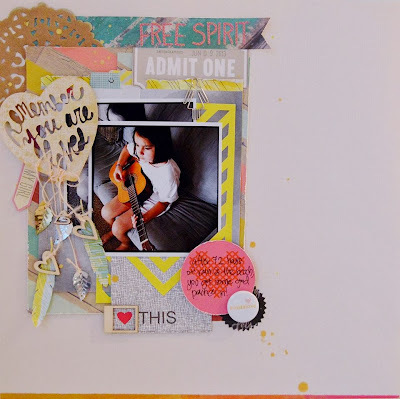 Welcome to our November Sketch with Stash Challenge! 2) From your stash, you must Include any type of wood - veneers, stamps, paper, etc. You can flip it, turn it, or change the size of the photo, as long as we can tell your entry was inspired by the sketch!! And for another chance to win a prize, you can link your layout to the STUCK?! Sketches Blog. And don't forget to check out the SOS CHALLENGE GUIDELINES! "I love everything about wood veneers; especially stars! I tried to use different kinds of veneers to showcase their versatility without them taking over the layout and while also keeping true to the sketch. Even the dark heart on the left is wood! i like that you can use them "as is" or you can paint/distress them. 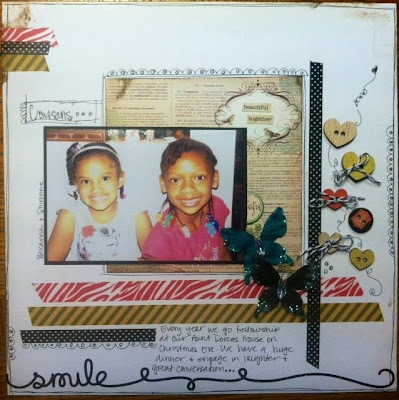 Great challenge to use my large veneer stash!" 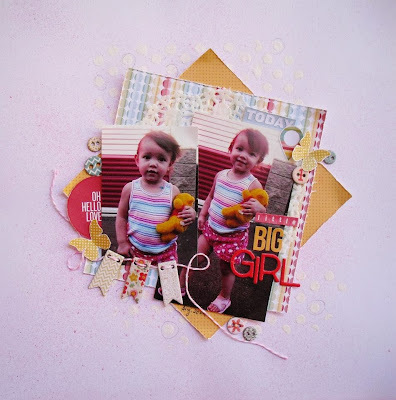 Please visit Kate's blog to see more of her awesome layouts! And now...it is your turn to create a layout using this sketch along with some wood! Stop by tomorrow for more Design Team inspiration!!!! But....you still have time to get your 6 x 6 paper pads out and create a layout to share with us for a chance to win our monthly prize!!! My background paper is from the "Oliver" 12 x 12 Collection and the other patterned papers were cut from an "Oliver" 6 x 6 pad a friend recently picked up for me at Big Lots for $2. I have tons of 6 x 6 pads and hardly ever use them. For the banner I cut to 6 x 1-1/2 pieces and layered under the photo, and you would not know that it was two pieces just by looking at it. 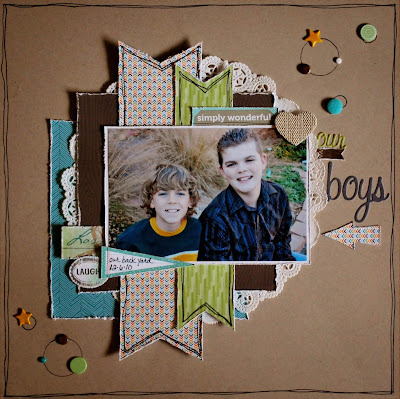 For the stash part of the challenge, I included 6+ chipboard stars from the "Oliver" collection. 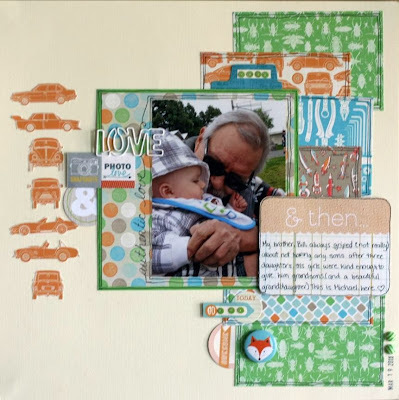 Creating this layout has inspired me to pull out some of my 6 x 6 pads, that match with my 12 x 12 collections, and start using them. There are so many ways to use sheets of 6 x 6 patterned paper to create a 12 x 12 layout, and I hope that during the past two weeks, our design team has inspired you to get that stash of 6 x 6 paper pads out and start to creating! We would love to see your take on this challenge, you have until November 29th to link up! 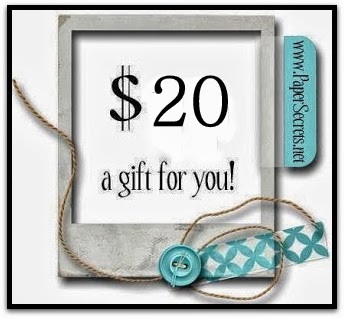 Click HERE for the details and the challenge!!! 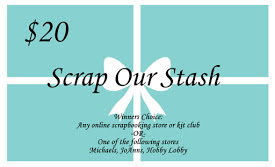 Our November Sketch with Stash Challenge will be revealed on the Friday, the 15th and you will not want to miss out on this challenge! You will have two chances to win, with just one layout!!! "Cozumel 2012" Layout by Rochelle S.
Today's inspiration comes from Rochelle S.
"For the 6x6 paper challenge, I used Glitz 6x6 Uncharted Waters collection. From my stash, I used 6 premade die cuts from the Pink Paislee Nantucket collection. I also did some masking with texture paint and a stencil. I was so excited to use the anchor wood piece from Creative Embellishments! It is super darn cute!!! 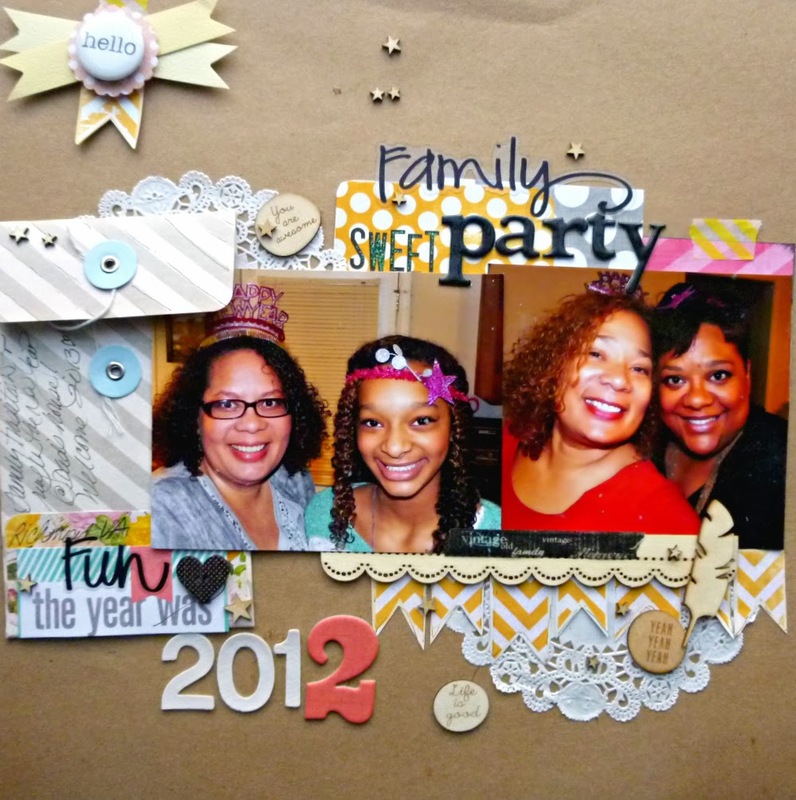 I had such a fun time making this layout… even though we came out kinda dark in the photos! 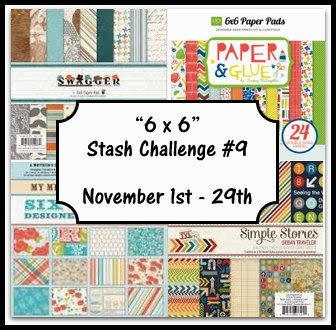 lol"
This month's Stash Challenge is challenging you to use your stash of 6 x 6 paper pads on your layouts. 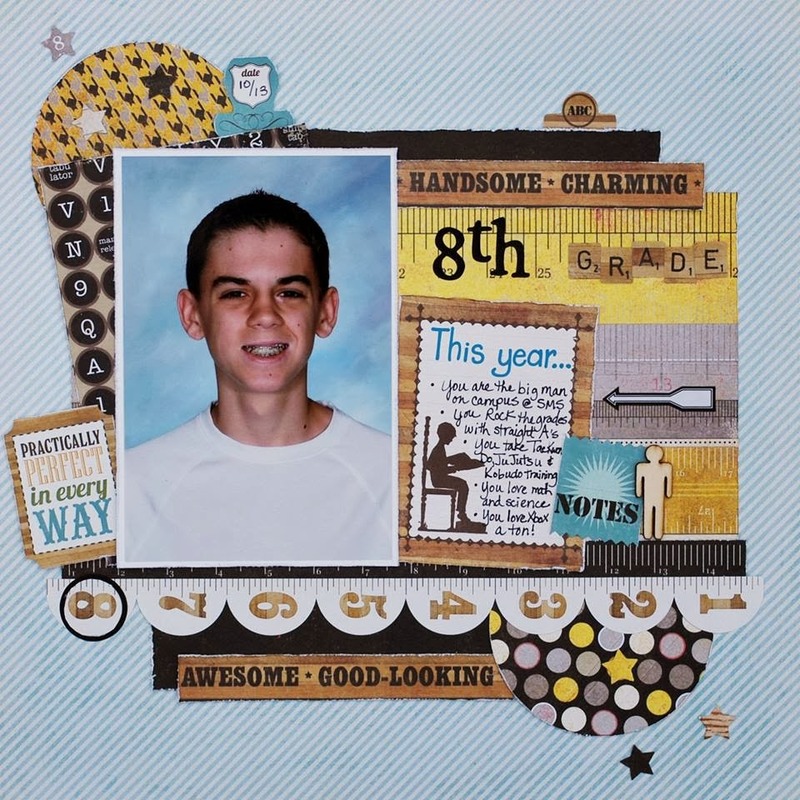 "I have never scrapped with 6x6 papers before, I usually reserve them for card making so it made a nice change for me to work with a smaller scale. These papers were perfect for the photo of my youngest daughter asleep with her favourite soft toy. The six items of stash are the wood veneer stars from Studio Calico and I added Stickles glitter glue for some sparkle. How about you have a rummage and pull out some of those smaller papers so that you can play along with us too!" 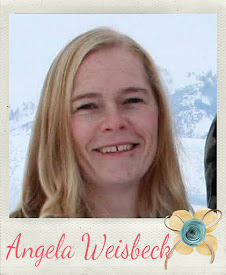 "I was truly challenged this time since I don't ever buy 6x6 papers. I found the adorable Lawn Fawn Into the Woods 6x6 paper pad and purchased it to see how I would use it. What I have found is that it is truly so handy for cards, but had never used it for a layout. So I came across a sketch that I thought would help incorporate the papers and ended up creating my long strips by placing them behind the photo to give a look of length even though the papers are actually very short. My stash items were the many brads I have and I had fun with my pen this time to give some movement to the layout." You can find the details to our current challenge HERE! 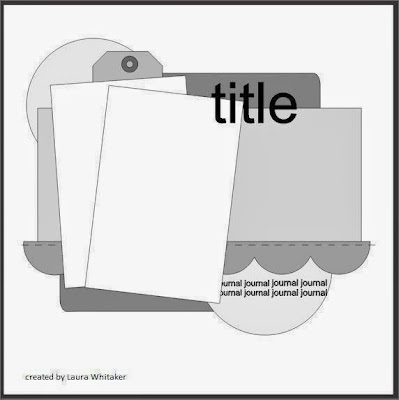 Get some mileage out of your "6 x "6 paper pads, by creating a layout and linking up with us for a chance to enter into our monthly prize drawing! Thank you for stopping by, and remember we post inspiration from our fabulous design team members daily! Another day of "6 x 6" inspiration! Today's featured inspiration is the creative work of DT Robin! Robin created the wonderful layout below using a 6 x 6 pad she purchased at a steal! 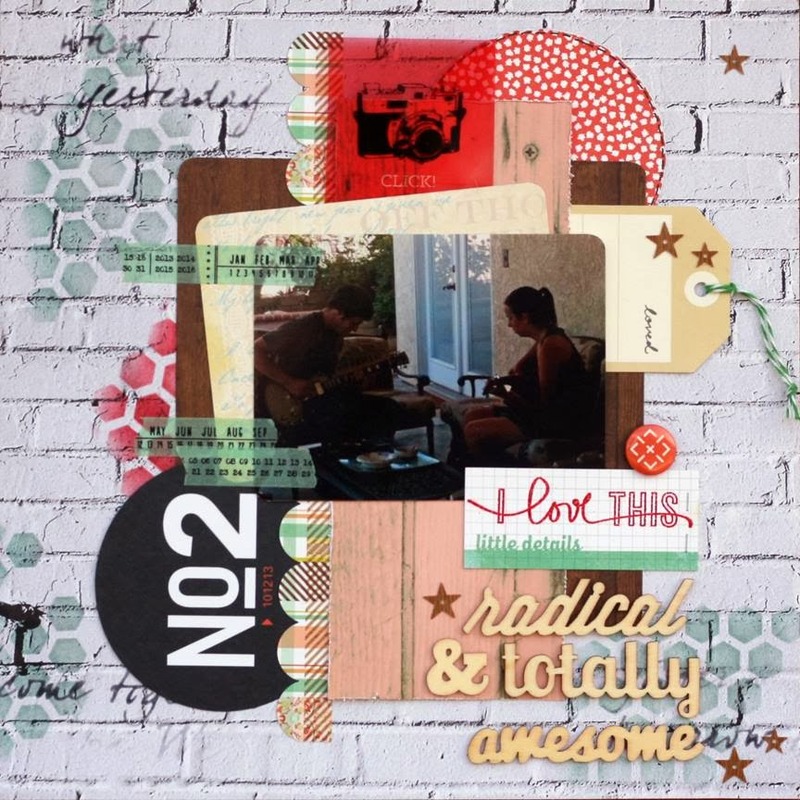 A great layout created using product purchased at a steal means double scrappy goodness! However, I noticed it matched perfectly with the colors in this photo of my brother, Bill, and his grandson, Michael. I matted one sheet onto another for the photo, then cut up other cute sheets and layered them to make a border along the right edge. This allowed me to showcase a variety of the cute mini papers from the pack. For my 6 or more of premade embellishments, I used cardstock tags/tabs. 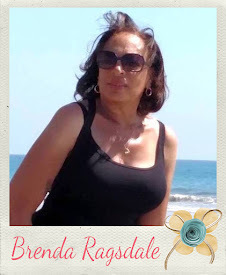 I also used some little green sequins." Thank you for stopping by, and remember, we feature design team inspiration daily! 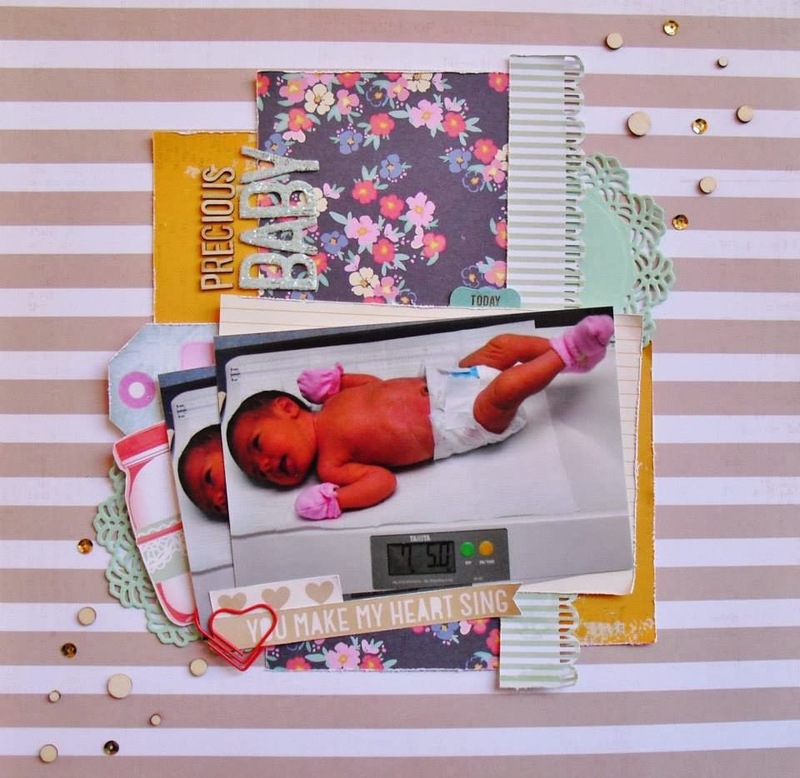 For our Stash Challenge this month, we are all about using those 6 x 6 paper pads. You know the ones we all hoard or use for cards. Our design team has been sharing the various ways to use those smaller papers on a larger canvas to help you deplete your stash! "The 6x6 pads have long been a favorite of mine! Easy to transport, cheaper, same great patterns and sometimes, preferable since the whole pattern is shrunk down! I especially love them for punching lots of shapes out of...in this case, circles! I thought this picture from Halloween last year of my little Harry Potter needed lots of circles to emphasize the glasses! I used a circle mask and lightly misted white on this ivory cardstock. I then punched lots of different circles or scalloped circles to create a border down one side. The embellishments I used, more than 6 actually, are all chipboard pieces from Amy Tangerine. Hope everyone gets out their 6x6 pads and gets crafty!!" 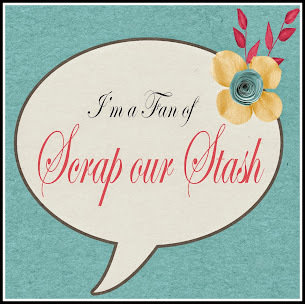 Click HERE for the details on this month's stash challenge! We are looking forward to seeing all of your creative ways you use 6 x 6 pads to create a 12 x 12 layout! More inspiration on the blog tomorrow, make sure you stop by! "6 x 6" Stash Challenge! 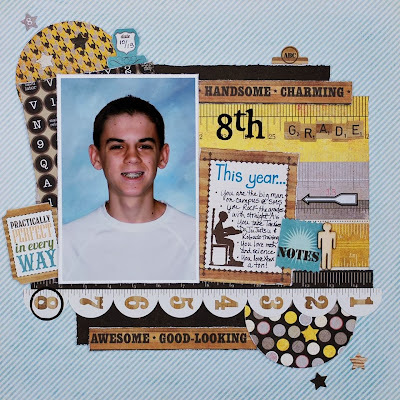 "I used all 6 X 6 papers from a Teresa Collins 6 X 6 Paper Pad except for the white card stock background paper. I layered the papers and embellished with more than six sequins. This is a Halloween layout, but I thought I would try something different without using the typical Halloween colour palette." We will be back tomorrow for more 6 x 6 inspiration! We have some super cute inspiration from DT Joefil to share with you today. "This is a picture of my daughter when she was just 14 mos. old. Finally, I got a chance to use my 6x6 papers from Studio Calico Snippets which I used two to layer on my page. I used some gesso on the background and then sprayed with primrose color shine. My six embellishments from my stash are the chipboard buttons, from My Mind's Eye! The chipboard banner is also from My Mind's Eye." Got a 6 x 6 paper pad and 6 "like" embellishments in your stash? Sure you do! 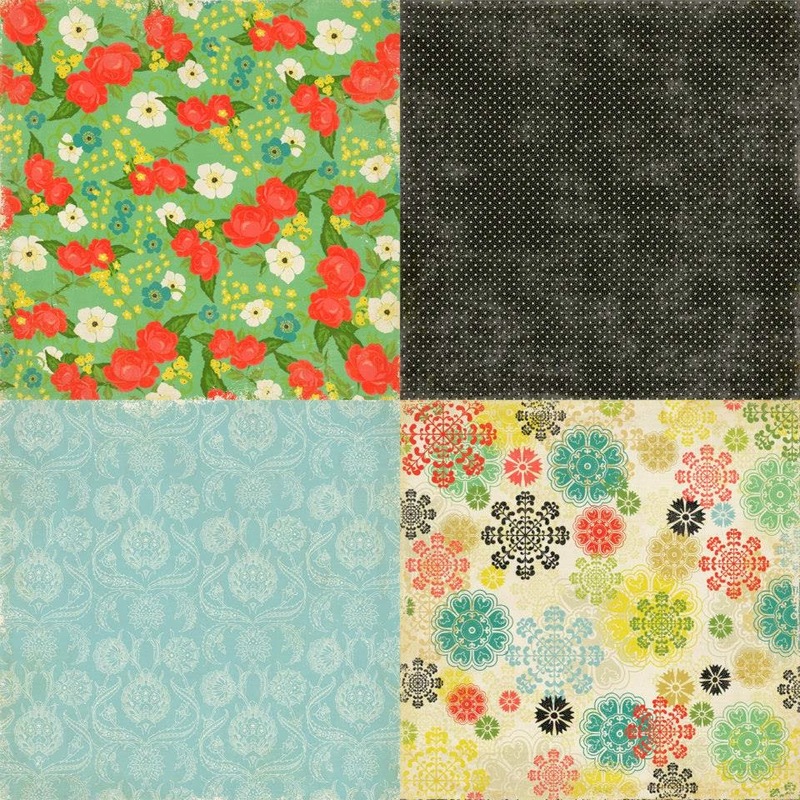 Create a layout using these items from your stash and share it with us! Welcome back for another day of design team inspiration. "6 x 6" Stash Challenge. "This photo captures the beautiful smiles of my daughter and her older cousin! They usually don't get a chance to get together too often but usually they see each other on Christmas Eve. Each Christmas Eve as a tradition we go to the eldest in our family and have a huge dinner and fellowship with family. I have a few 6x6 pads of paper I have never used so this challenge was great! For the 6 embellies I used wooden veneers on the side in the midst of some doodling..."
Make sure you check back tomorrow for more 6 x 6 inspiration!!! 6 x 6 paper pads are not just for making cards. 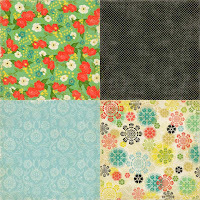 These pads are so versatile and with a little creative imagination, you can use them to create wonderful 12 x 12 layouts. 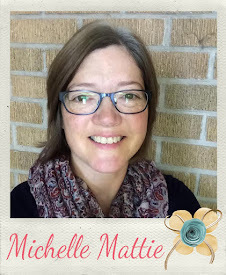 "This year we decided to take our own photos for school pictures and I am so glad we did! Adding that to the challenge made for a really fun layout!" Dig out one of your 6 x 6 paper pads and use it to create a layout. You will be pleased at how fun and easy they are to work with! 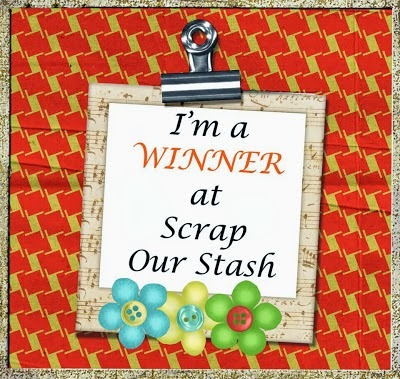 Looking forward to seeing your wonderful ideas using your 6 x 6 stash! 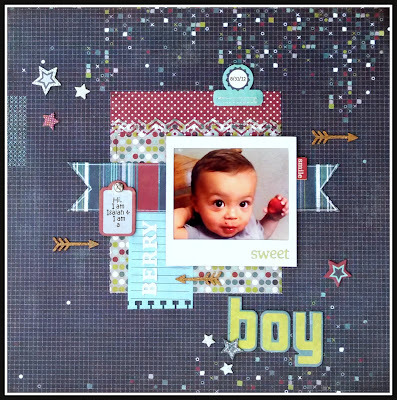 "I love to work with 6x6 paper pads on layouts because I like bits of patterned paper and smaller patterns. They are perfect for me! 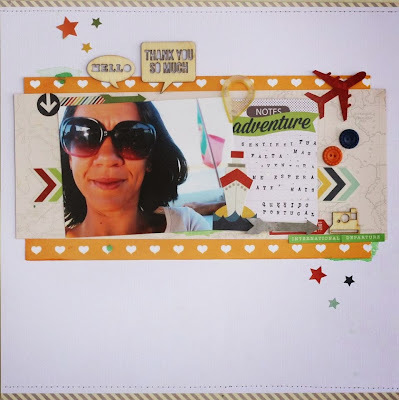 For this challenge I want to create a blocked format similar to project life. I used a pad from My Mind’s Eye and cut my favorite patterned papers in smaller rectangles. 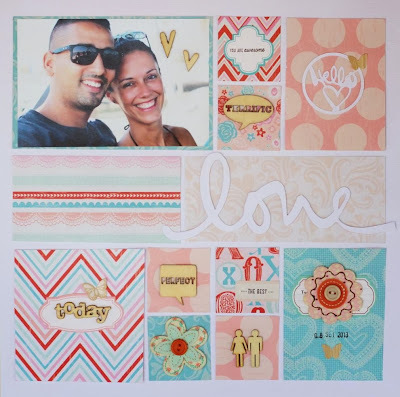 To decorate these rectangles, I used more than 6 different shapes of wood veneers, and other embellishments to create this layout about my sister-in-law and her husband. Hope you enjoy this challenge as much than did!" 6 x 6 patterned paper to create a 12 x 12 layout! Remember the only 12 x 12 sheet of paper you are allowed to use is for the background! Click HERE for the challenge and details!!! See ya tomorrow for more design team "6 x 6" inspiration!!! 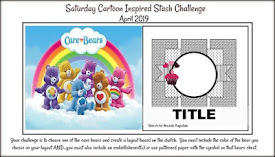 Our Stash Challenge this month is to use those 6 x 6 pads we all have and have been hoarding because it is easier to just pull out a 12 x 12 piece of paper and start cutting! Well for the next two weeks our design team will be sharing with you various ways to put those pads to work! Today's wonderful inspiration is being shared by DT Carol! "Oh, boy! I kind of freaked out when I saw this challenge because guess what? I have no 6x6 paper pads! You can't find them very easily at our local stores... So I grabbed my box of scraps and I found some pieces from a class I took 2 years ago! Thanks God! So I cut the and used the black pieces behind my photo and the white ones to fill 3 frames from my background paper! And finished the page using only embellishments (can you see my 6 stars?) and some stamps." 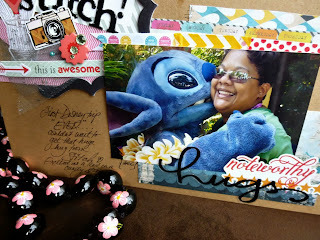 Click HERE for the details on our 6 x 6 Stash Challenge! We would love for you to share your creative ways to use this item from your stash of scrap products! "6 x 6" inspiration from our design team! 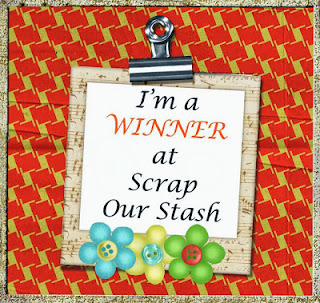 Good morning to all of our scraptabulous followers! It is the first day of November, which means we have a new challenge for you, and the introduction of our November Guest Designer!!! The only 12 x 12 piece of paper you are allowed to use is for your background!!! you MUST include (6) or more of one type of premade/packaged embellishment. Example: (6) wood veneer pieces of various shapes and sizes or all the same. Your layout can be any theme and/or design, and you may add anything else to your page as long as it meets the two requirements mentioned above. 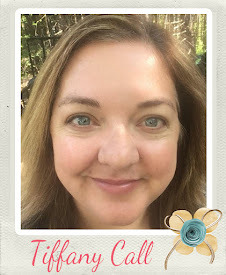 "My crafty name is Kate Blue, (or Queen Kat as my friends playfully call me since I love all things Snow White and the Evil Queen) coming from the great state of Maryland! In my previous life, I was an accountant until 7 years ago when I became a stay at home mom to care for my son had some serious ongoing health issues. So, I am now a wife, mom, semi home schooler, special needs advocate, cook, chauffeur and more to my two children and husband. I have been scrapping/crafting for about 7 years as well; I never considered myself artsy EVER (I can't even draw a stick person LOL) but came into scrapbooking accidentally when it was suggested that I look into it as a way to relieve the high stress levels I had since my son had been hospitalized/ill for almost two years. After 6 months of collecting supplies and a Scrapbook 101 class, I was hooked! 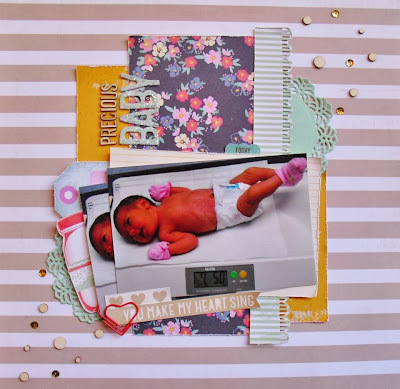 I generally stick to scrapbooking, SMASHing, mini books and some mixed media canvases; for some reason, card making and stamping stump me in a major way! 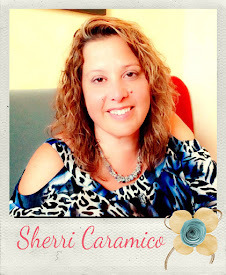 You can find me at my blog: Blue's Blog and My Scrappin Fascination"
"In 2013, I became a huge fan of 6 x 6 paper packs and they are starting to accumulate! 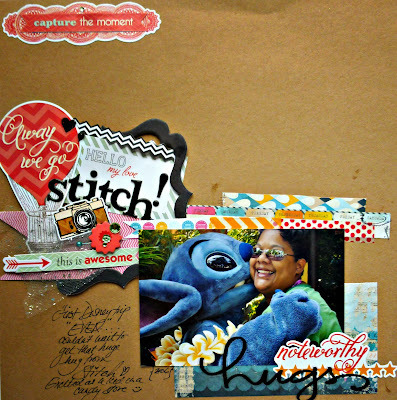 I knew that I wanted to scrap this Disney photo and after long thought, I decided on showing that you can use your 6 x6 papers in bits and pieces-you don't have to use the whole sheet. I used the Glitz "Unchartered Waters" 6 x 6 papers in small snippets along the top of my photo and also in the background of my embellishment cluster since I wanted to highlight more of the (6) items I chose which were STICKERS! I went crazy and used more than 6 stickers but as you can see , I tucked them in here & there AND I layered them too:) Thanks to Scrap Our Stash for this combined challenge because I struggle to use stickers (normally I use 2 or 3 and then let the sheet sit around unused) and I loved that the challenge made me use them up!" Ready, set, go...your turn to get pull out your 6 x 6 pads and dig into that stash of embellishments, get creative and upload your layout for a chance to win our monthly prize and/or possibly have your entry selected as one of our November Top 3 Picks!!! !